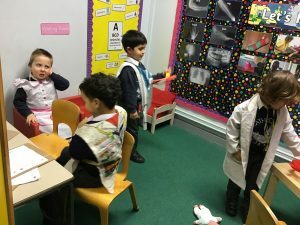 This week, as part of our ‘People Who Help Us’ topic, we launched our new role play area, The Doctors’ Surgery. 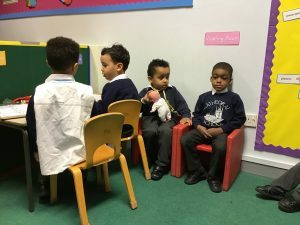 The children have enjoyed dressing up and playing various roles. 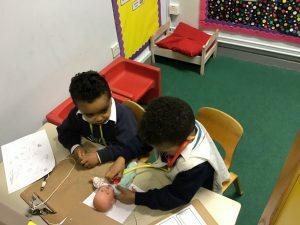 We have had some very serious and extremely entertaining consultations; Samuel and Maxwell wrote up notes for Miss Polly and her dolly; Jacob bought his baby in with a temperature; we’ve had many crying babies, or ones off their food, not to mention the emergencies and bandaging!